ESS Shakuhachi Forum :: New Honkyoku CD! 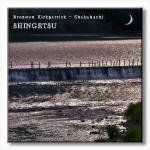 Posted: 2013-06-27, 05:06 Post subject: New Honkyoku CD! Hello everyone. I want to let you know that I have a new CD called SHINGETSU. It is half honkyoku/half contemporary classical, featuring the works of two wonderful Australian composers Lachlan Skipworth and Kim Cunio. You can listen, watch and buy the CD from my website www.bronwynkirkpatrick.com. Posted: 2013-06-27, 06:21 Post subject: New Honkyoku CD! That is exciting news, Bronwyn! Congratulations! Looking forward to listen!!! Posted: Today at 13:41 Post subject: New Honkyoku CD!